Are you looking for ecofriendly waste disposal solutions for your home or office in Marin County? Well look no further because we offer the best junk removal services in California. E- Waste, hazardous waste or maybe items you just can’t manage on your own are all included in the junk we remove and our fast, eco- friendly junk removal services are available to come in and assist you by providing all the necessary equipment and trained personnel to manage junk removal from your home. Here at Junk King not only does our dedicated team come in and handle junk removal efficiently but we also specialize in the transport and processing of items removed. So additionally we help customers to save money that they would otherwise have to pay for transport and landfill charges. If you are remodeling or doing any construction our affordable MINI dumpster rental can also serve as a great solution to facilitate junk removal and what’s more you only pay for the amount of space you use up in the dumpster which helps you to save even more. Our junk removal services facilitate the removal of trash from restaurants, E- waste, unwanted office furniture, unwanted equipment, office clutter and much more. So if your business is located in Marin County and you have any type of junk/waste you need removed we’d be happy to help. We offer prompt service and next day pickup to make your junk removal as fast and convenient as possible. Not only does Junk King offer the most affordable rates in town but we have also taken initiative to incorporate eco-friendly practices such as recycling as part of our mission to conduct safe, environmentally friendly waste management services in Marin county. Our ‘green’ junk hauling company provides top notch junk removal services 7 days a week giving you back clean, spacious surroundings in your home or office. Contact us for more information. This entry was posted in junk removal, junk removal marin, junk removal san rafael and tagged junk hauling companies, junk hauling services marin, junk removal on July 26, 2017 by Julian Torres, "JT". Last updated August 20, 2017 . What Do Junk Hauling Companies Do? 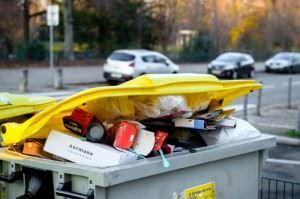 Does Your Current Junk Removal Company Possess These Qualities?